ONE OF THE biggest issues facing the health and fitness industry today is that it has been cheapened by its own. The growth of the internet has revolutionised information sharing. 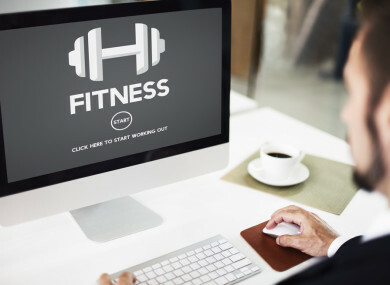 In health and fitness, the internet undoubtedly offers a number of benefits to both consumers and coaches, but online training ventures are loaded with pitfalls. It’s big business and, for obvious reasons, can seem particularly alluring; as a trainer, you can achieve a much wider reach and the potential for substantial revenue generation in a small amount of time is huge. I personally think there are certain situations where online training is appropriate (more on that later), but generally speaking, it’s difficult to provide the same level of service online as you would in person. It’s a business that should be reserved for experienced coaches with high skill, patience and dedication. You need years of real life training experience; dealing with people day in, day out and developing the skills needed to overcome roadblocks and problems, or better yet, prevent them from happening in the first place. Any recently qualified trainer with a decent physique, good social media skills and some inspirational quotes can provide you with a training programme, but buyer beware; theoretically, they could know all there is to know about coaching, but unless they have the practice and experience of coaching in real life, you will most likely be wasting your time and money. Looking good does not make you an expert, all it means is that you were good at getting yourself in shape. Unfortunately, the prospect of a few hours on the laptop per week for a big pay out is pretty appealing to many young trainers and they fail to understand that in reality, if you had integrity about it, the opposite would be true. Ideally, online coaches ask for video footage of their clients performing exercises prescribed, so that they can then provide feedback on both the quality of movement and how to adjust for the next session. If you have hundreds of online clients, you’re looking at a lot of time consumed watching, critiquing and replying with corrections and recommendations. Even for the most efficient and organised of trainers, some aspect of your coaching will suffer with a high volume of clients. Generic, cookie-cutter programmes make good coaches die a little inside. Unfortunately, I’ve seen it many times; people of drastically differing demographics given the same programme that is totally inappropriate for their goals, abilities and experience. I’m a big believer in systemising your business, there’s nothing wrong with having training principles or templates that you work from, but they must be adapted to suit individual requirements. Many trainers that work with clients in person are guilty of this too, but the immediate and unfiltered interaction you get when personally interacting with a client allows you to act on what you see and adapt immediately, rather than retrospectively. As a newly qualified trainer, there is no substitute for getting hands on to really develop as a coach. I would deem a baseline assessment, observation, feedback and rapport to be some of the essentials of good coaching, all of which are compromised in cyberspace. Sure, you can acquire information via email regarding a client’s exercise history, medical status, age, gender, injuries etc but without personal contact, it can be difficult to ascertain when they’re being honest and thorough. Conducting a physical assessment or movement analysis is a must with all new clients, but again, without personal contact, the information gathered from this is diminished. Even the most carefully written programmes can be misunderstood, and with online training, miscommunications cannot be instantly remedied. Correcting a client’s form, observing biomechanical imbalances or adjusting load and volume becomes retrospective. The instant feedback that in person training allows for is crucial, particularly to beginners. You need to be able to make small adjustments; technique, load or tempo, or large adjustments; exercise selection, training methods or eliciting the appropriate amount of effort from the client. The coach can use multiple ways of cueing to elicit the best response; auditory, visual, kinaesthetic; again, severely diminished, if not impossible via online training. Finally, the positive impact that accountability and rapport can have on a beginner’s perception of training cannot be underestimated. I’m a firm believer that training should add to your life, not detract from it and a little camaraderie can go a long way towards being more consistent with your regime. Having a good coach with whom you share a mutual respect and good rapport with allows for far more relaxed and open channels of communication and in my experience, far better results. Being part of training facility that fosters community spirit, that has like-minded people who encourage and motivate you to push yourself physically and mentally can make training a fun and enjoyable experience, rather than a miserable, guilt-laden endeavour. For people that have been training at a good level consistently for a number of years. They don’t require the same constant supervision, just direction, accountability and some quality coaching cues here and there. Online training can be a great way of maintaining a relationship with a client who, for example, moves abroad. Working with a client over a long stretch of time allows you to get to know their movements and capabilities. The familiarity with their strengths and weaknesses, preferences and issues makes it easier to assess and adjust their programming and foresee any potential roadblocks. Do they provide video instruction? Do they ask that you send them video footage of (at the very least) the biggest/most complex exercises prescribed? Do they constantly tweak/adjust your programme based on feedback? Do they interact with you frequently? Provide support and motivation? Respond to any questions or concerns in a timely manner? Perhaps most importantly, do they have experience training people in real life? Only those that have succeeded at coaching in real life are properly equipped to provide good quality online coaching. Experience is invaluable and frankly necessary. There are so many free training programmes available on the web, so if your online coach doesn’t tick the boxes above, it may be time to ask yourself what you’re really paying for. Email “Looking good does not make you an expert - why online training is a trap ”. Feedback on “Looking good does not make you an expert - why online training is a trap ”.